As we enjoy the month of December and all that it has to offer, many of us will also have to prepare for all the traveling that comes with this time of year! Finding the ideal handbag that couples perfectly with your luggage item, can be tricky. But fear not, we are here to help! Handbags come in all shapes and sizes, from elegant clutches to cute hobo bags. Designed to carry at least the essentials — ID, lipstick and a compact — the handbag is also available in larger sizes for girls on the go who can’t help but pack almost everything just in case (because you never know where your day will take you!!). To see an extensive range of eclectic, stylish and durable handbag styles, take a look at Kipling’s handbag selection. Clutches are ideal for safeguarding your money and keeping a few handbag basics at the ready. Usually reserved for formal events, parties and clubbing, the clutch may come with a detachable spaghetti shoulder strap for convenience. Wristlets are clutches with wrist straps instead of shoulder straps. Known for its slouchy shape, the hobo bag offers the ultimate in laid-back chic. Perfect for everything from work to a day of errands, its lack of structure makes it a cinch to stash anywhere or throw over your shoulder. Hobos are available in materials ranging from nylon to buttery leather. Originally worn by bike messengers, messenger bags were adopted by fashionistas for their casual chic and practicality. 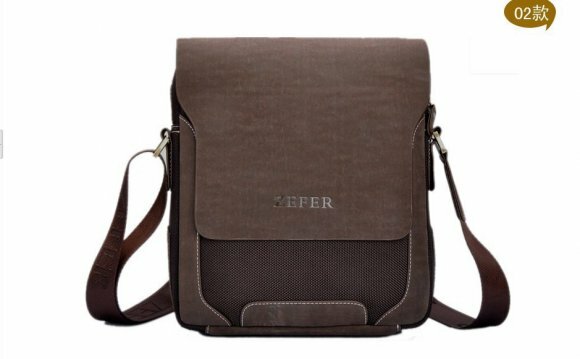 The square-shaped cross-body messenger bag, designed to rest on the back, is a great way to add urban appeal to your look. Satchels are usually worn across the body with a large shoulder strap, but can come with different strap styles. Think of the classic school bag: soft-sided, uniquely charming and roomy enough to carry books or a change of clothes and a few other items. Backpacks aren’t just for kids anymore. Whether for budget travel between cities or carrying an outfit and laptop on a quick business trip, these travel bags offer a wealth of features in styles for everyone. Chic backpack handbags are smaller but still hold their own in terms of carrying capability. From wheeled carry-ons to frame backpacks for serious outdoor adventures, the backpack is equipped to handle all your travel needs. The beach bag needs no explanation. Great for stashing swim shoes, towels and other beach necessities, these super-casual bags come in waterproof materials and are usually unstructured with small handles. Every girl needs at least one of these. From pencil-case styles to pouches, these compact cases protect your handbag or travel bag from perfume leaks, powder spills and more. Cosmetics cases or makeup bags are available in countless colors and styles. This is the classic do-it-all bag. Although perfect for carrying gym shoes and workout gear, duffle bags are sturdy and well-equipped for outdoor and urban adventures alike. Though once available mostly in utilitarian canvas, the duffel bag has received stylish upgrades from many labels. The humble tote has undergone an upgrade. The go-to for busy people, it’s now available in options to suit your style. From casual quilted totes to luxurious leather totes that double as handbags, tote bags keep essentials from notebooks to extra diapers together on even the craziest days. Class Trip is a 1998 French film. Its original French title is La Classe de neige, which is the name given to class trips in the snow. It tells the story of a young boy on a school skiing trip who suffers anxiety attacks that bring on disturbing nightmares.